Sometimes you’re just too busy to eat healthy, which is a frequent occurrence in the hectic modern world, but sometimes you simply have no other choice than to make do with what you currently have and try to eat healthy on a budget. Life throws us curve balls whenever it gets the chance, and even though healthy eating is not cheap in its essence, there is always a way to meet the challenge head-on with an effective solution. So yes, eating healthy on a budget is more than achievable, you simply need to stick to several key steps and implement the following tips into your weekly and monthly routines. Here are the five essential ways to maintain a healthy eating regimen on a budget. It all begins with what you decide to put in your grocery cart, with the things that in your mind hold the highest priority. If you are dealing with a budget situation for the first time, it might be difficult to break away from the shackles of modern consumerism, and scale down your expectations in favor of a more frugal, long-term approach to food shopping. You might be under the impression that long-lasting products are filled with all kinds of additives and chemicals, when in reality there are plenty of healthy options that can, when used sparingly, last you quite a while. Consider quality olive oil, seasonal fruits and veggies, dairy products (if you can handle them), eggs, and various spices to, well, spice things up a bit flavor-wise. Refrain from meats, if not for the ethical considerations, then for the sake of your budget. We live in a tech-driven, digital world that has brought thousands of services and products to our very doorstep – things that are available to us with a push of a virtual button on our smartphones. This is an excellent opportunity to save money and supply your kitchen with all of the products you need, by simply making use of online discounts, coupons, and promotions. Be sure to peruse the online grocery stores and look for deals on healthy food sources that, even if they are reaching the end of their lifespan, will still be worth buying at a significantly lower price. This will allow you to stay on top of your healthy eating routine, no matter if you’re traveling, dealing with financial issues, or having to feed a growing family – saving wherever you can will be key. There is nothing that can save you money in the long run like abandoning your habit of eating out and devoting your time, love, and positive energy to preparing home-cooked meals. Not only is it infinitely healthier for you and your family to eat at home, as you are controlling what goes into every dish, but it’s also beneficial for your budget. Remember that individual ingredients cost less than having someone cook the meal for you. However, you don’t want to forget about the importance of preserving the nutrients in foods, which is why cooking with quality, stainless-steel cookware such as Scanpan is great for keeping all the healthy properties inside. What’s more, prepping meals doesn’t have to be a day-to-day thing. In fact, by simply devoting a lazy Sunday afternoon to prepping the majority of your meals for the following week, you can avoid overspending, and stick to a healthy eating routine as well. Speaking of overspending, it’s infinitely easier to lose track of your finances when you don’t have a sound spending plan in place. Financial planning is the name of the game, so a wise and prudent idea would be to make a monthly grocery list, detailing your financial capabilities and the cost of every item on the list. This way, you can keep track of your monthly spending, and adjust accordingly. What’s more, sticking to a strict grocery list will help you refrain from unhealthy foods, and exercise mindful eating that will not only benefit your budget, but your health and the health of your fellow earthlings. All of this streams our story to the final point. 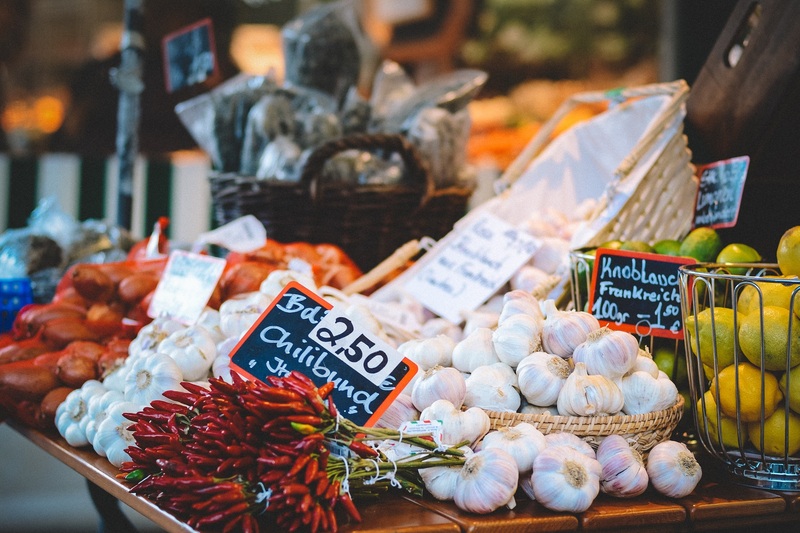 There is a time and a place for everything in life, including buying the foods that are currently in season at the local market. By shopping locally-grown foods, you are not only supporting the local economy and the local community, but you are also ensuring you are eating healthy, non-GMO foods that were grown by trusted farmers. Back to the point at hand, shopping seasonally means that you are hand-picking products that are currently easy to come by, and thus come with an affordable price tag. This will go a long way in helping you stay solvent long-term. Eating healthy on a budget might have seemed like wishful thinking up until now; however, with a bit of prudent planning and careful strategizing, you can absolutely have your proverbial cake, and eat it too. With these simple tricks in mind, there is nothing standing in your way of becoming healthier in mind, body, and spirit, no matter your financial capabilities.